Equipment rental is a service provided by dealers and manufacturers that is becoming increasingly important in the value chain. In addition to the usual rental products such as construction machinery, containers, and transportation equipment, all types of tools and technical equipment are rented out. Conventional traders in particular have identified rental as a new business opportunity and are providing this additional service for industrial business partners, tradesmen, and consumers. What has been missing until now was a solution based on SAP that enables companies with rental services to manage and control rental processes more efficiently. itelligence is closing this gap. 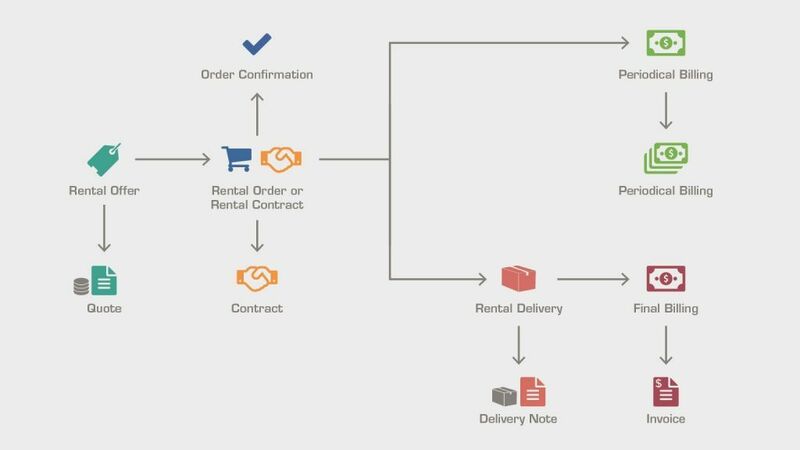 Even if approximately 80% of processes in retail and rental are similar and follow the same principles, it is the remaining 20% that determines the overall efficiency of a system – due to its inherent uniqueness. Stefan Hoffmann, Industry Solutions Principal, itelligence Inc.
Are You Facing These Challenges at Your Rental Business? Are you struggling to control the sheer range of processes and functional tasks that need to be completed and tracked? 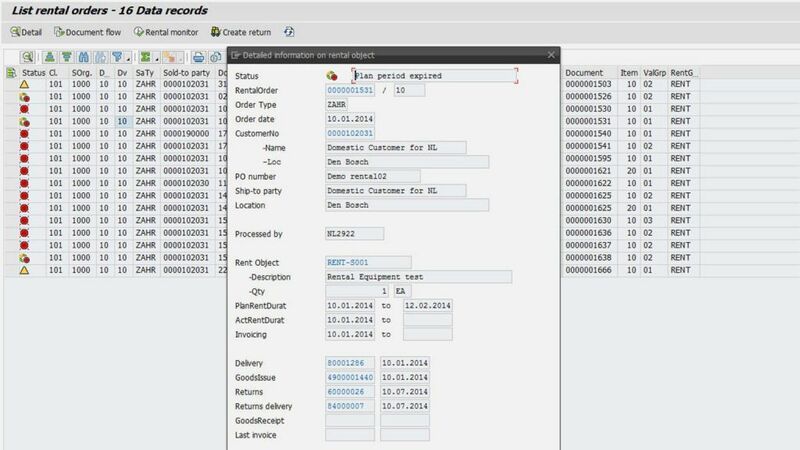 Is automated tracking and billing of your rental processes difficult, or even impossible, due to them being managed outside of your SAP system? Do you lack transparency over your rental equipment at your business and throughout the whole equipment lifecycle? Do you have problems with your cash flow and with balancing your portfolio on site or in the field? Is it difficult to maximize the use of your fleet as well as the re-sale value at the end of your equipment’s rental life? Are you sometimes caught between either maintaining rental equipment or selling it to keep transaction costs as low as possible? Can you guarantee 100% equipment availability paired with excellent services, so that your customers always get what they need, exactly when they need it? Are you able to plan ahead when it comes to spare parts requirements and maintenance resource capacity in case of equipment failure? With software from SAP and it.hire&rental you receive a pre-configured, flexible system that provides the highest level of integration. Our AddOn supports your SAP solution with the full range of rental processes from first offer through to all types of settlement. it.hire&rental ensures fast and simple monitoring and management of your rental processes. The specialized rental cockpit shows capacity utilization, the rent index, and availability at a glance. Rental item availability according to region and time can be searched and selected with rental order management view. 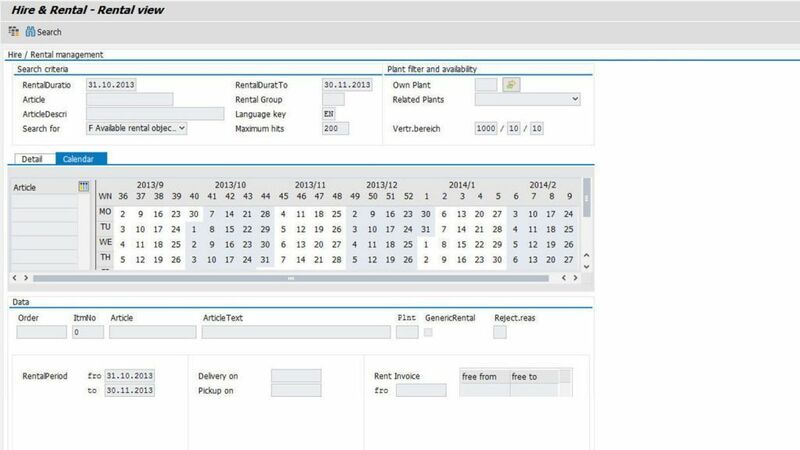 Using a graphic calendar display, the system enables fast assessment of availability and optimizes rental equipment selection. Additionally, settlement-related data is gathered and stored in this view. The rental view can be used for serialized or non-serialized managed goods, for short-term or long-term rentals, and also for collective rental items. 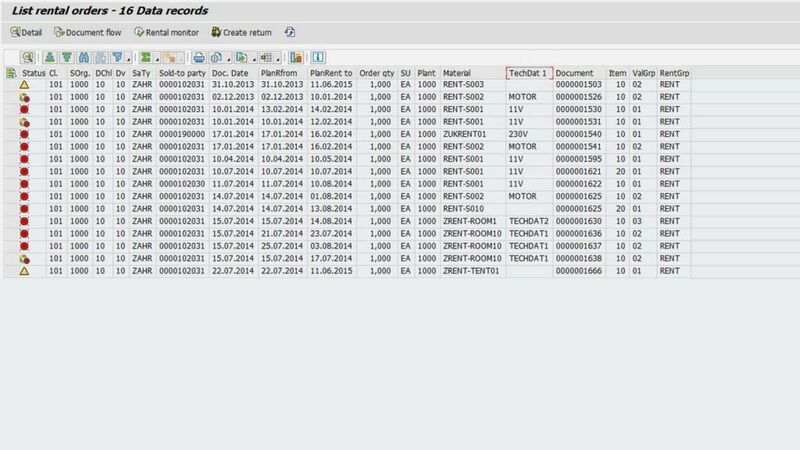 For ongoing processes, this view allows the user to check progress and update data on rental activity. 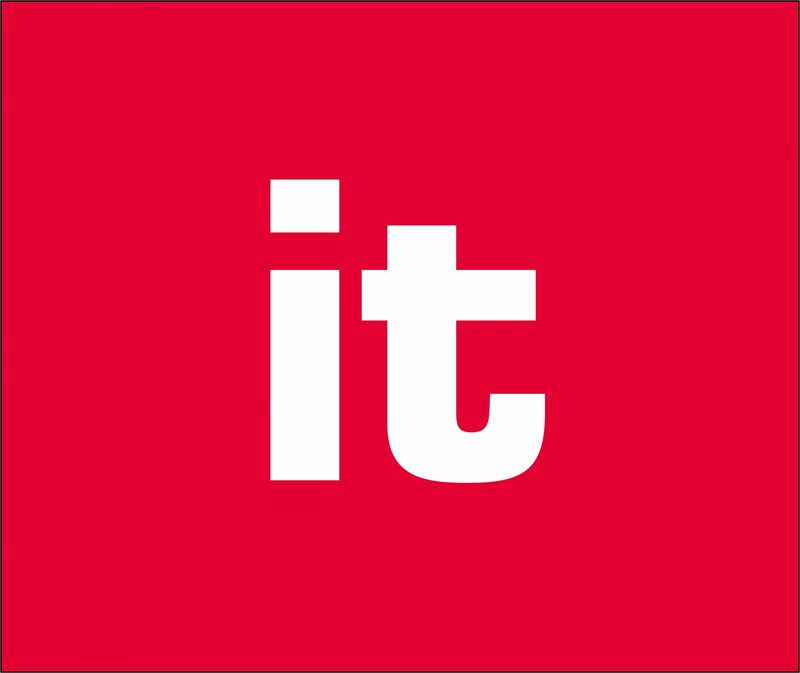 it.hire&rental delivers useful insights into operations thanks to sophisticated reporting and statistics functions. With the it.hire&rental solution AddOn, we provide traders and rental companies with an industry solution that is already integrated into the complete process environment of an SAP solution. Based on our trade industry solution, with its pre-configured processes for sales, warehousing, and purchasing, the AddOn complements existing functions to map day-to-day rental operations. 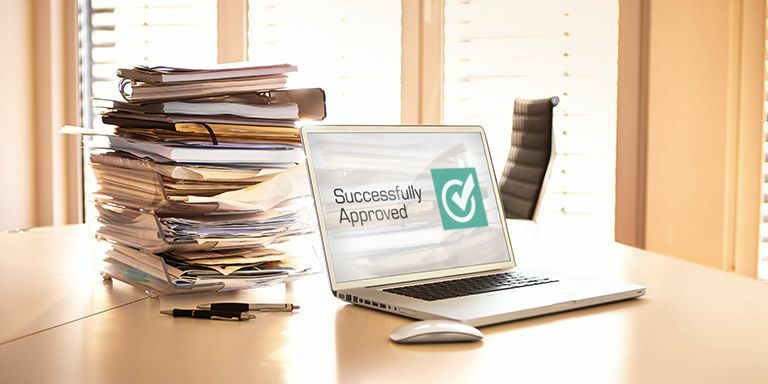 In this way, all business areas are fully and seamlessly integrated – from logistics to accounting, from rental to maintenance and repair, and from time management through to payroll accounting. itelligence is a global SAP Platinum Partner with over 30 years of experience. About 7,000 experts in 25 countries support you every step of the way – ensuring you get more out of your SAP solutions. We know that your path towards digital transformation is just as unique as your company. Hence, you need an IT partner who not only knows SAP software inside out, but also understands your industry and your specific business needs. As a member of the NTT DATA group, we have leading-edge resources available to assist you and provide thought leadership. Moreover, with data centers located throughout the world, we deliver support wherever you need it. Optimize wholesale distribution operations in your organization with effective omnichannel commerce and demand management to boost customer loyalty. Would you like to receive more information about it.hire&rental? Do you want detailed advice from our experts or like to book an it.hire&rental workshop?